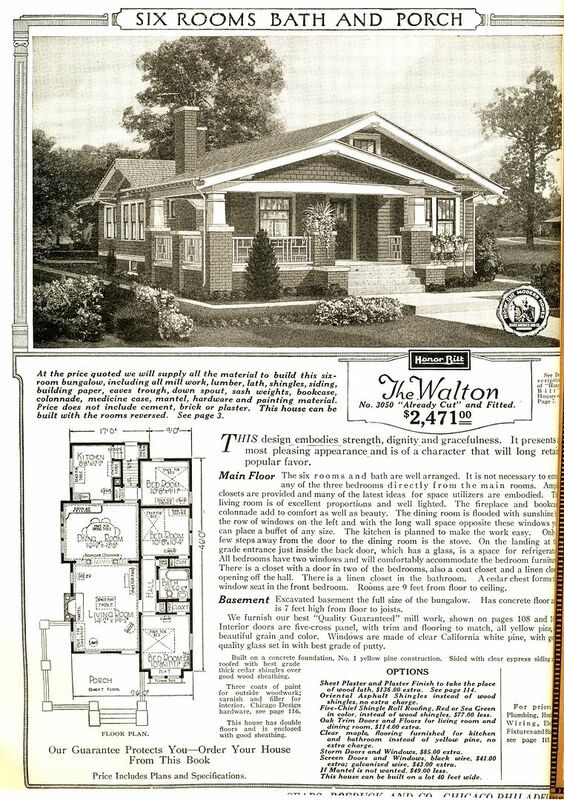 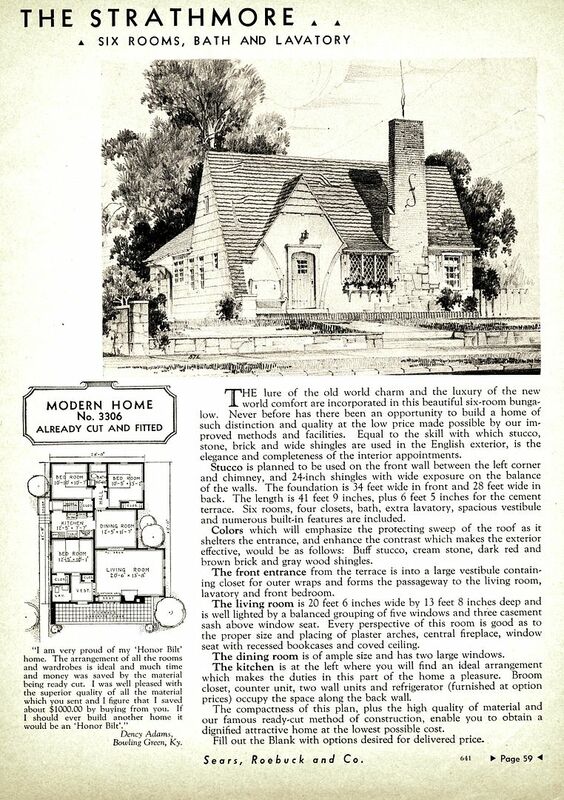 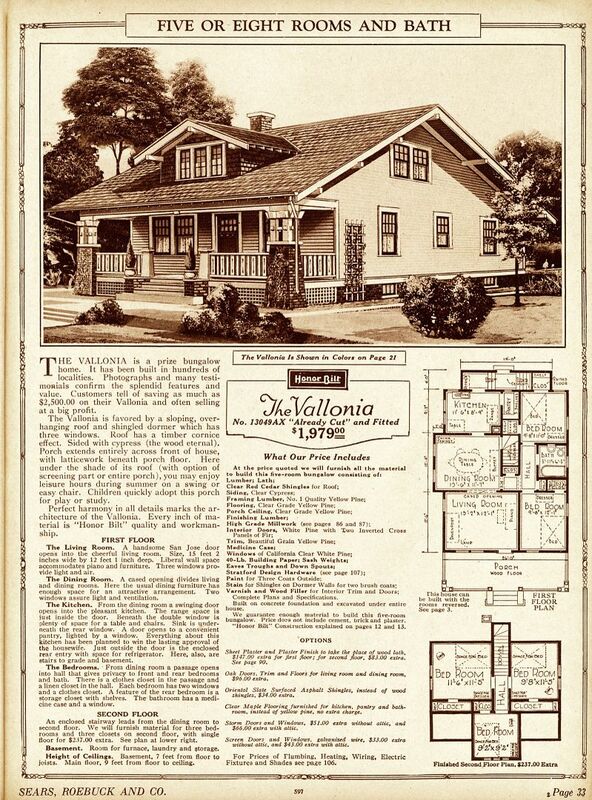 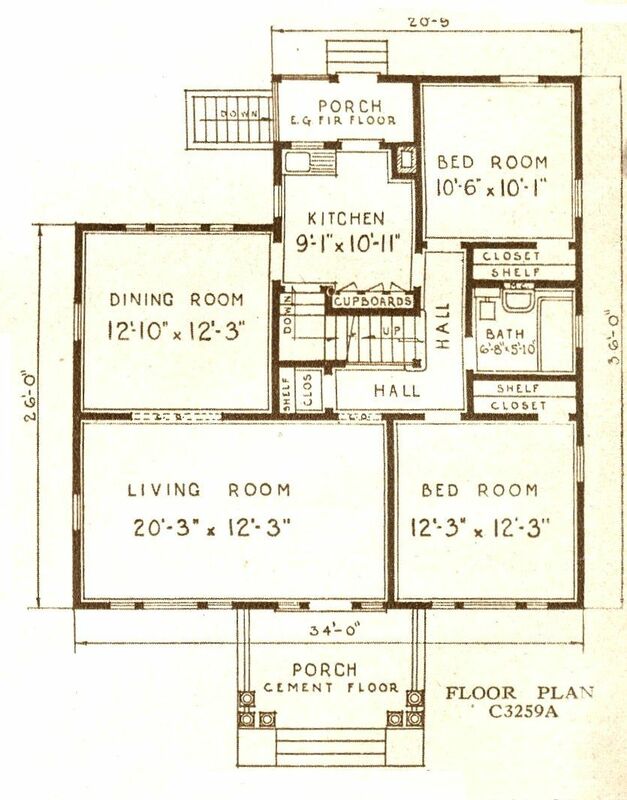 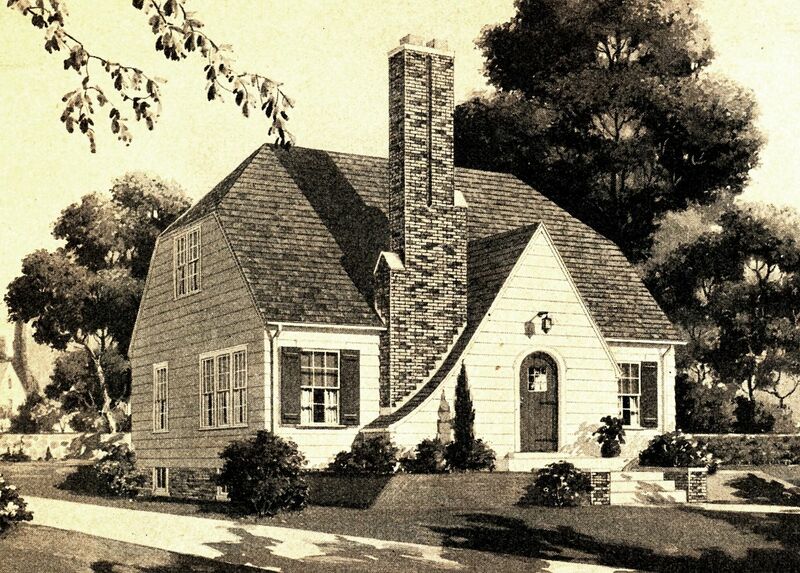 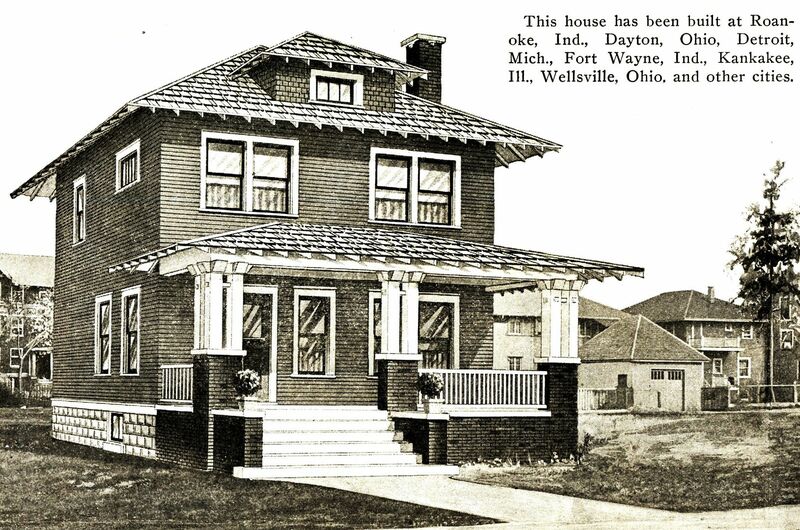 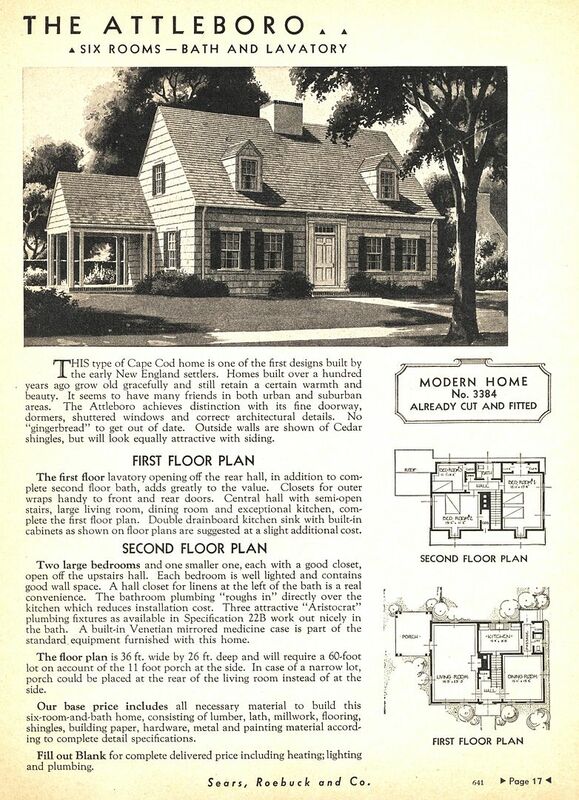 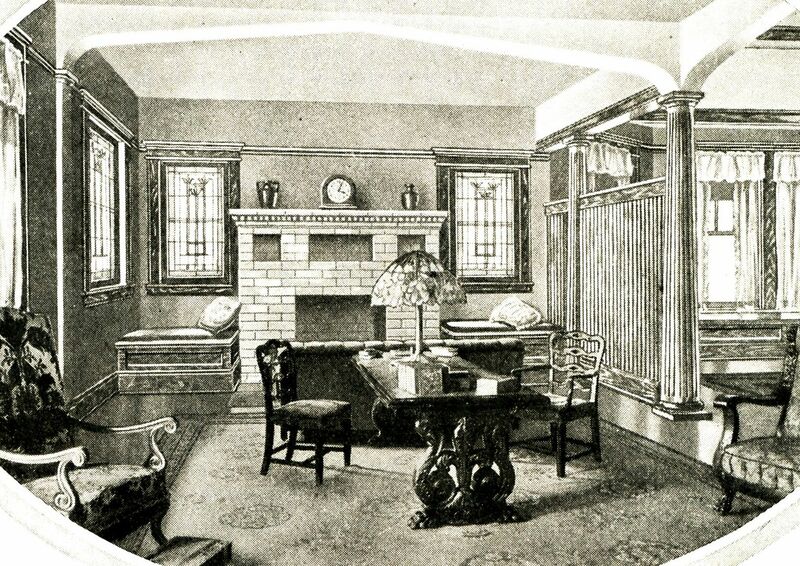 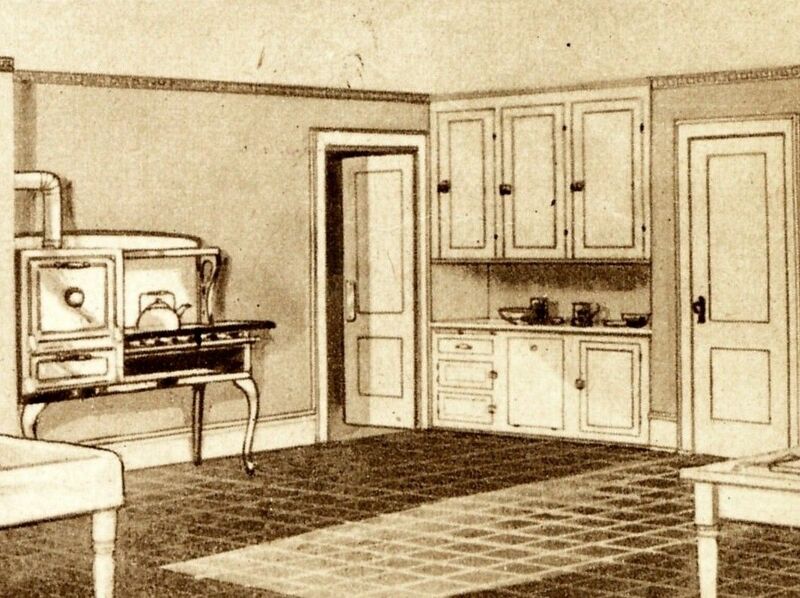 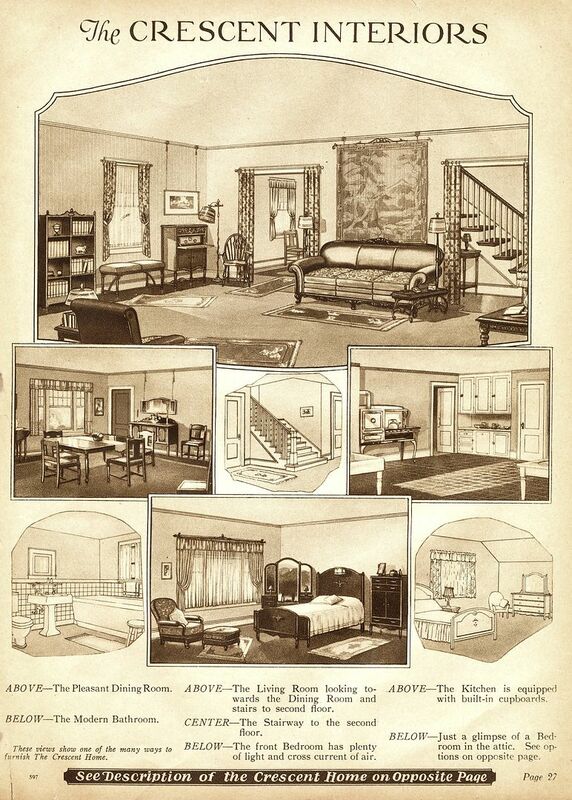 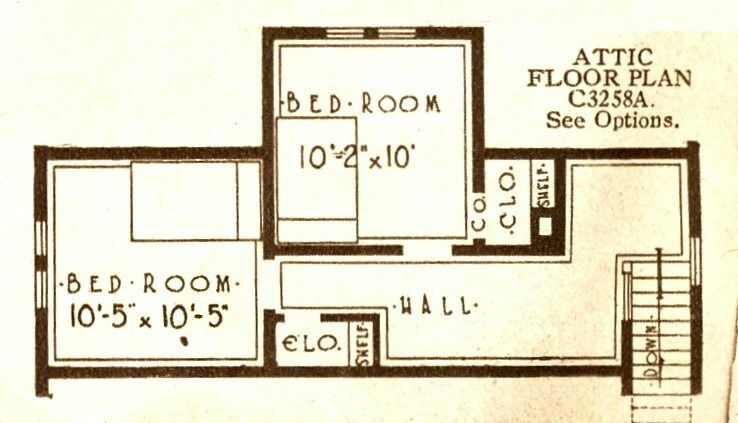 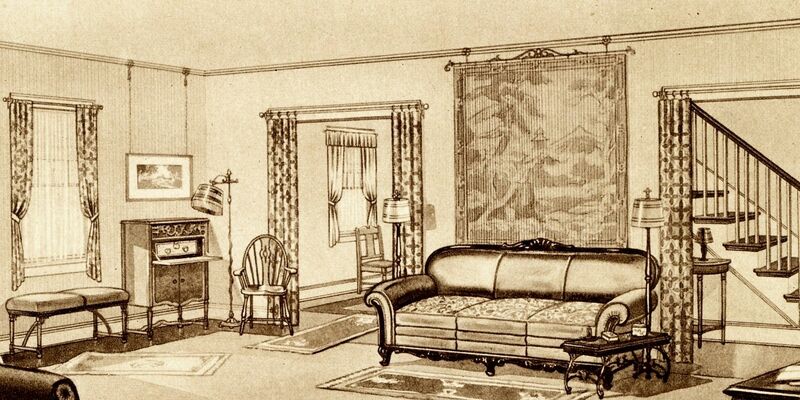 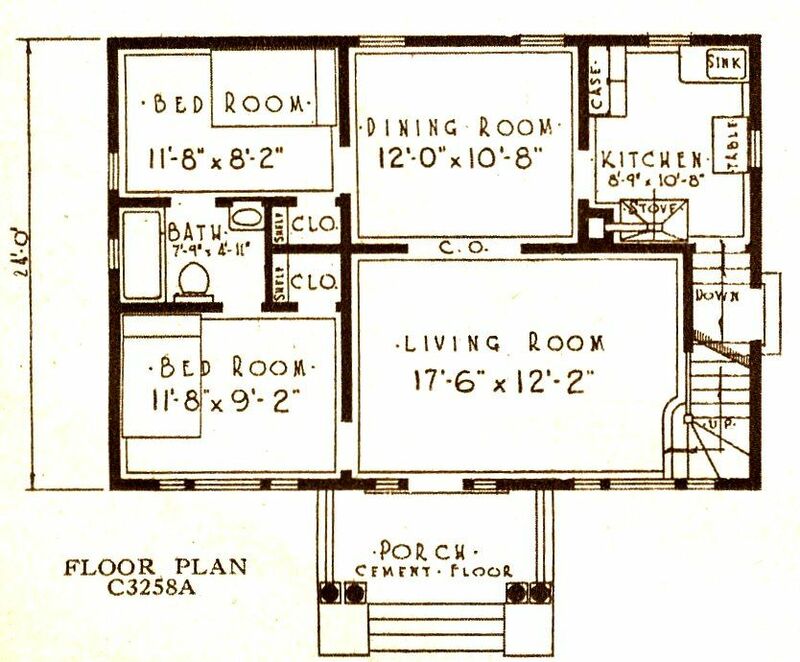 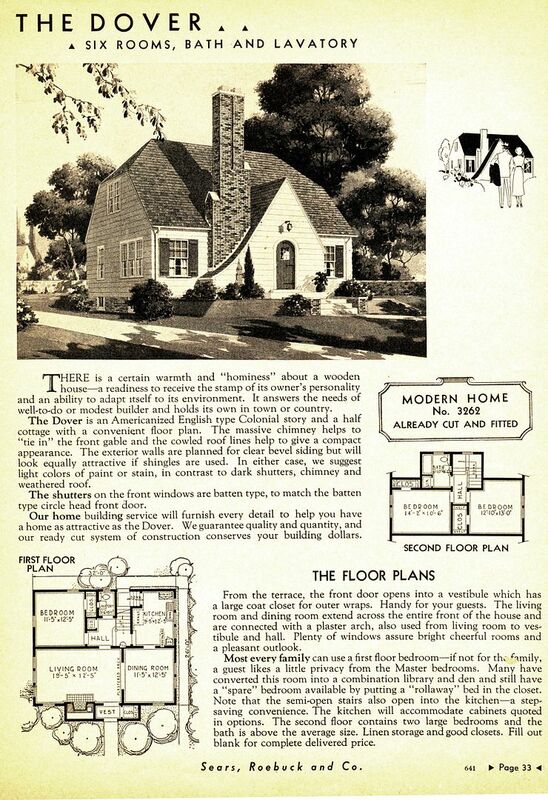 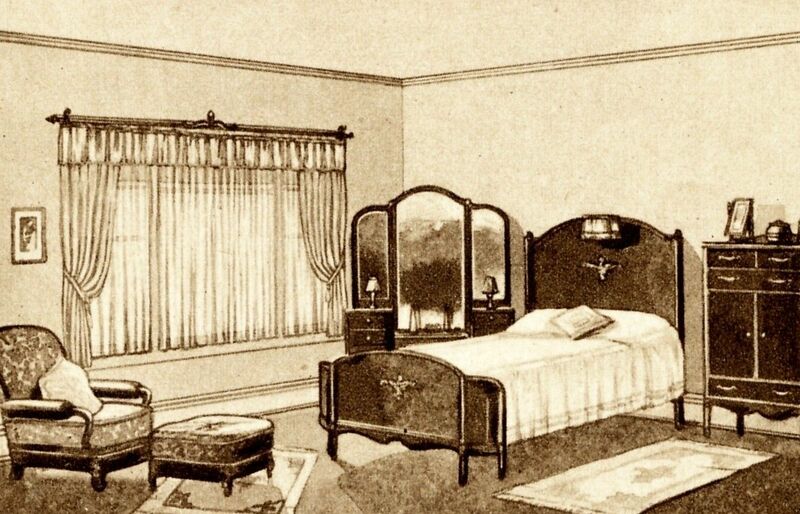 Sears Homes were real kit homes, ordered right out of the pages of the Sears Modern Homes catalog. 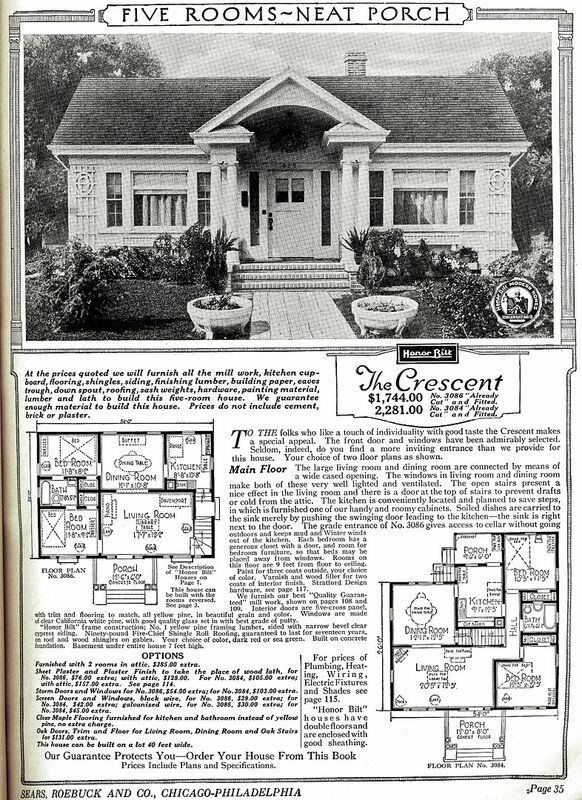 The 12,000-piece kits came with a 75-page instruction book and a promise that “a man of average abilities” could have it assembled in 90 days. 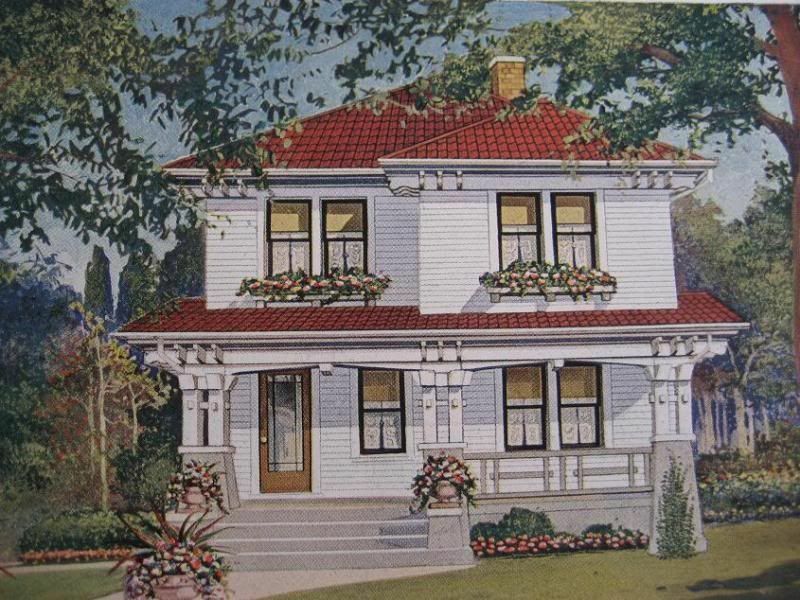 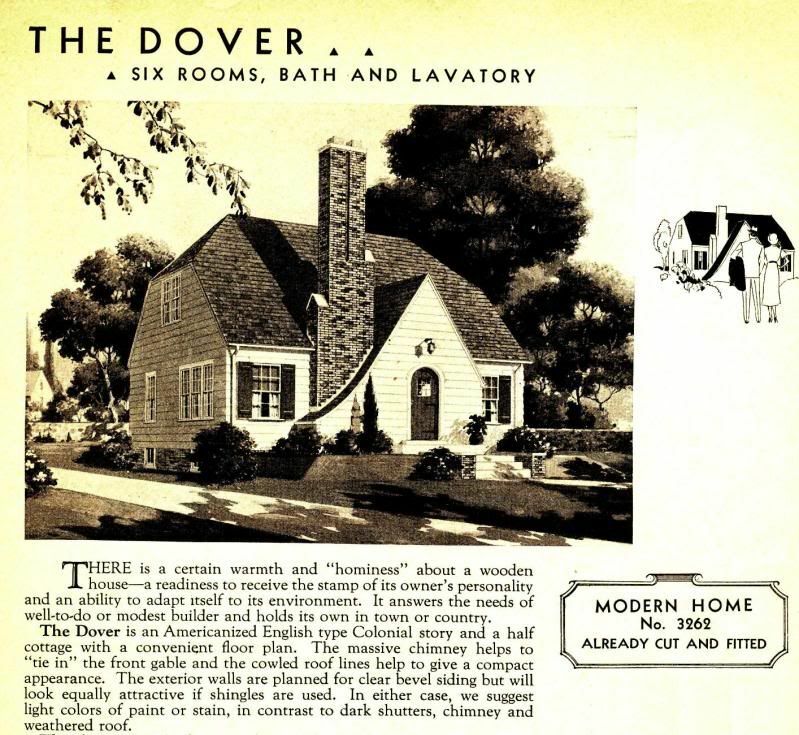 One of my favorite Sears kit homes is the Sears Dover. 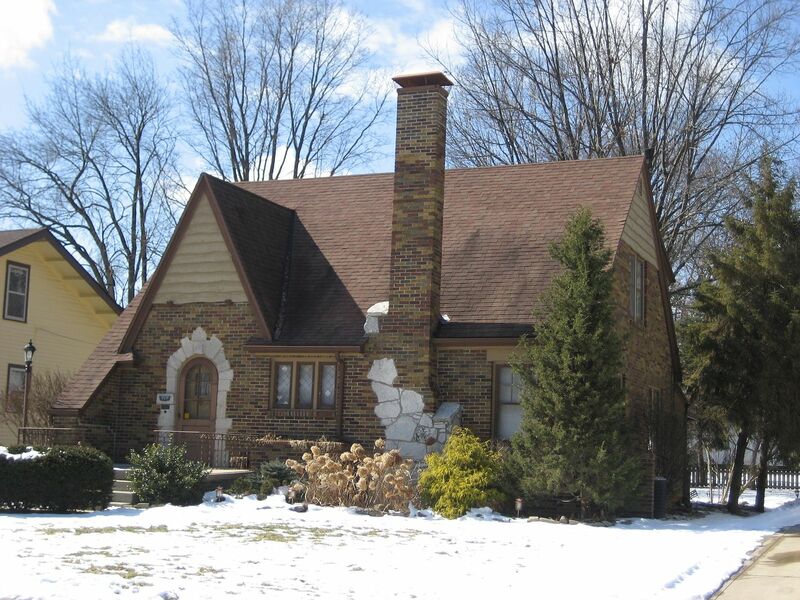 This little neo-Tudor is adorable, thoughtfully designed, well-laid out, relatively spacious and just as cute as a button. 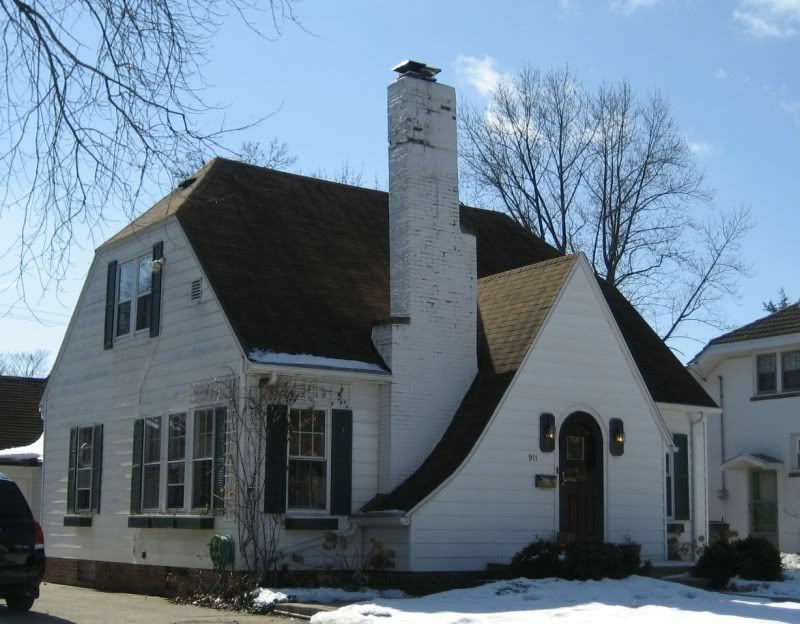 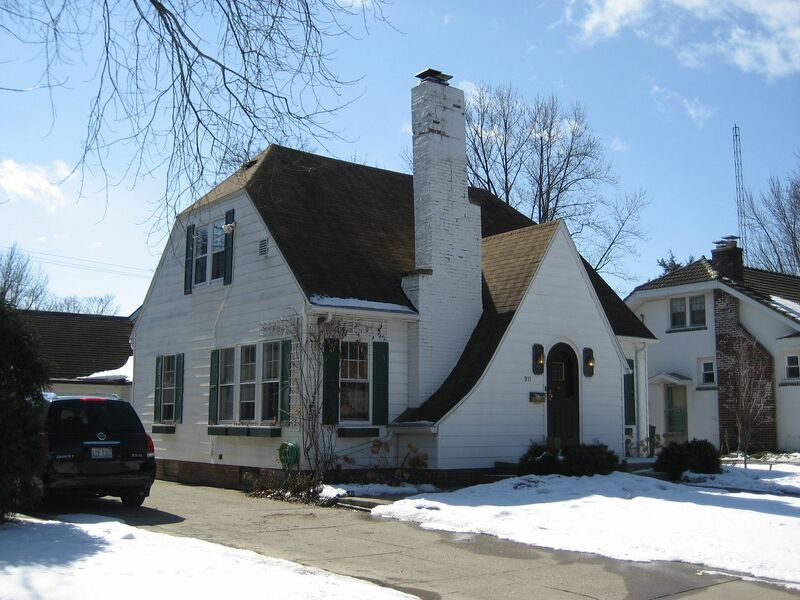 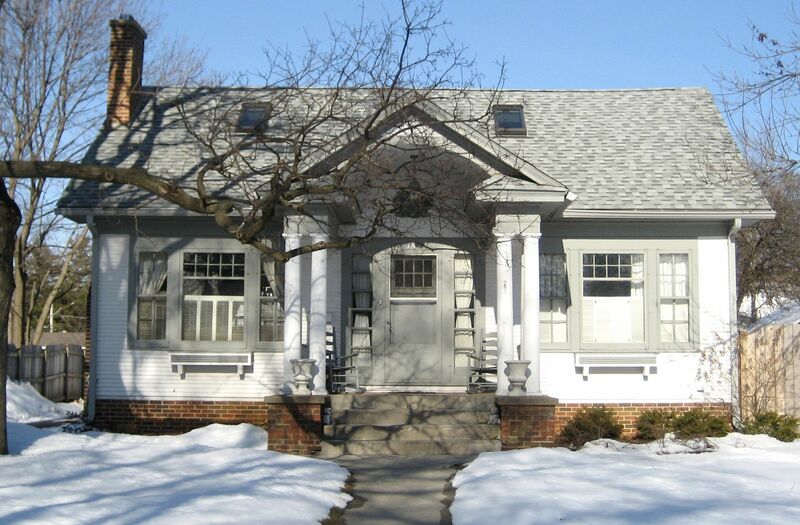 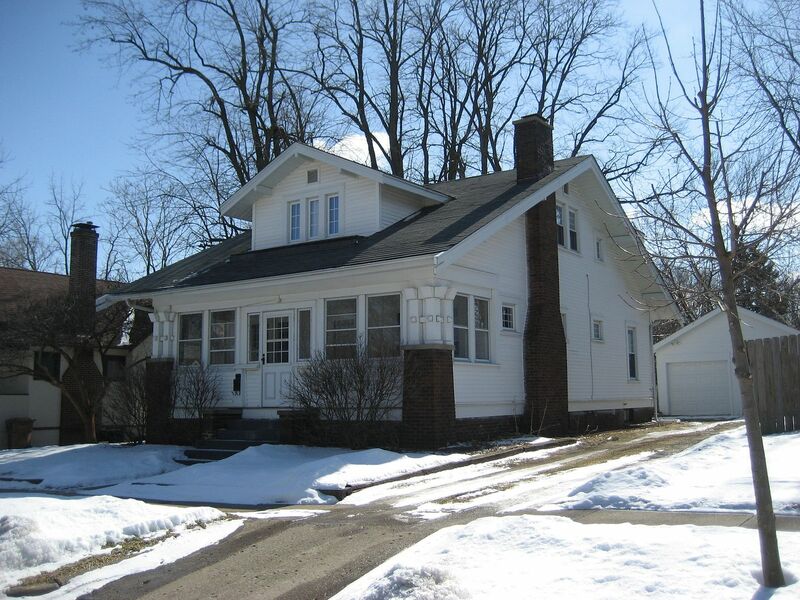 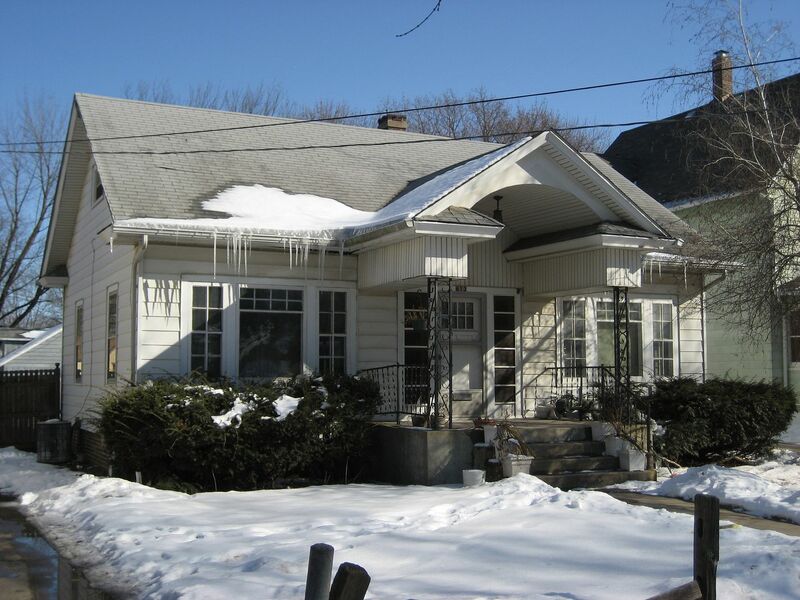 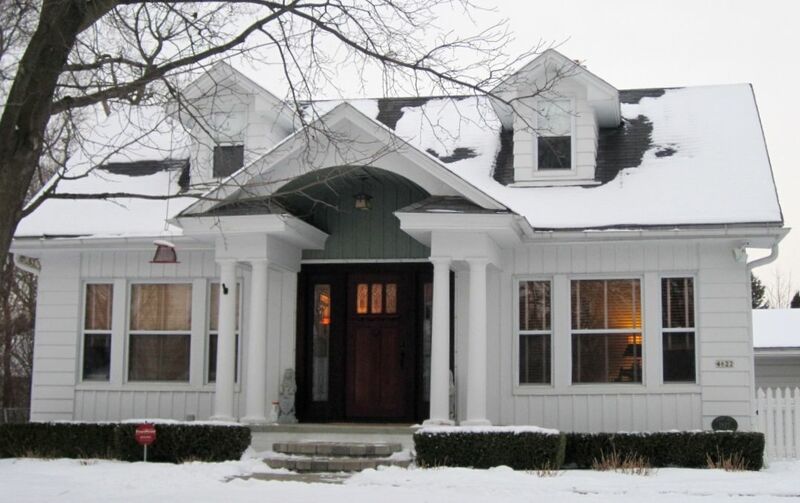 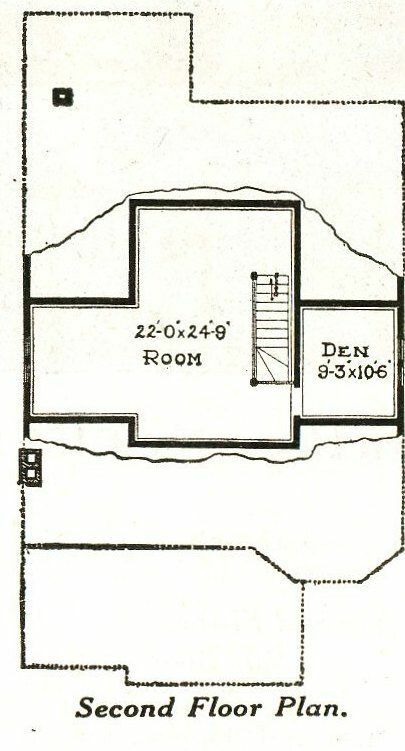 On the back of the house is a large shed dormer, creating plenty of room on the second floor for an additional two bedrooms and a full bath, giving the house a total of four bedrooms, two baths, large living room, dining room and kitchen. 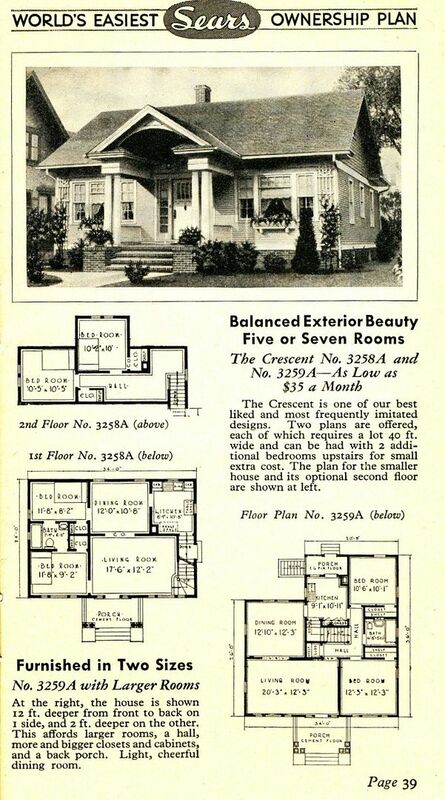 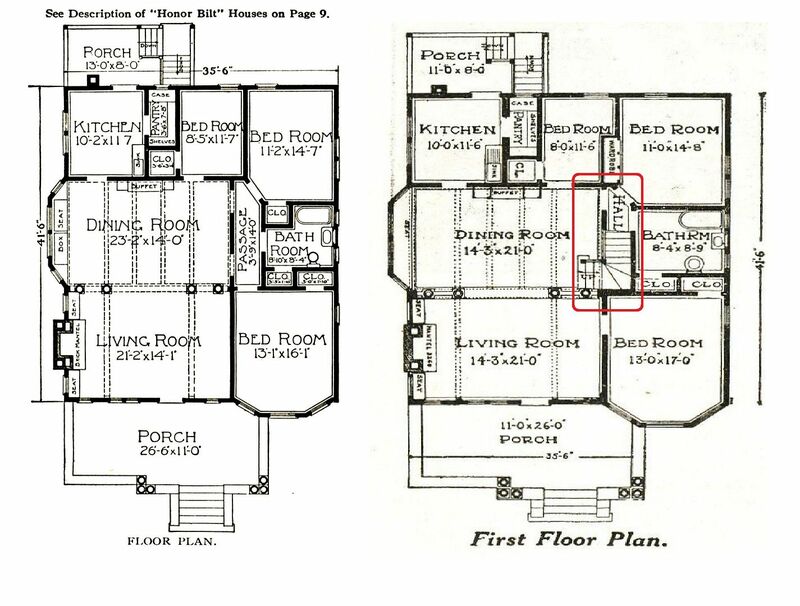 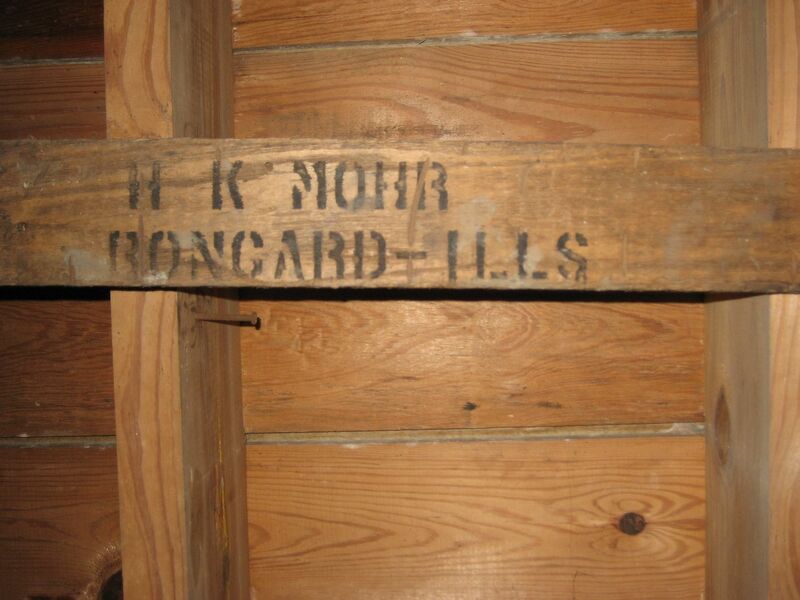 For the late 1920s/early 30s, that was a good-size house. 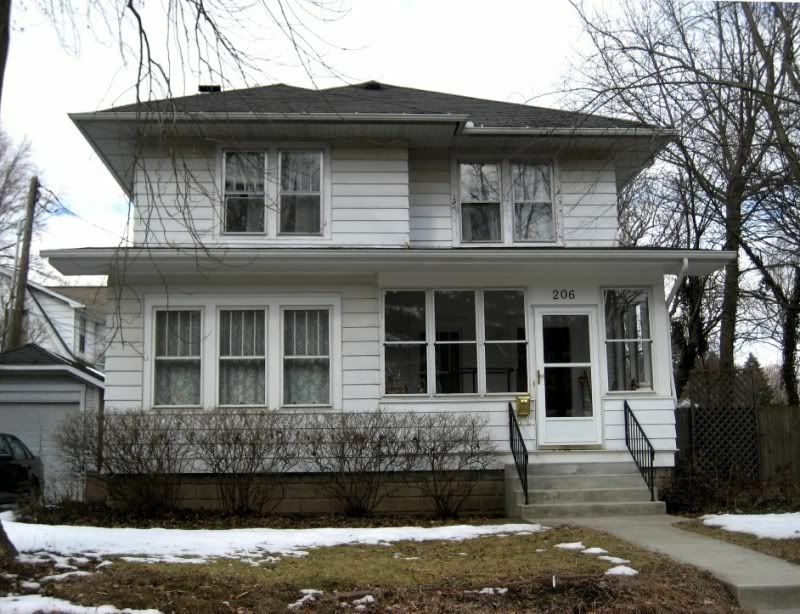 Here’s a cutie-pie in Champaign, Illinois. 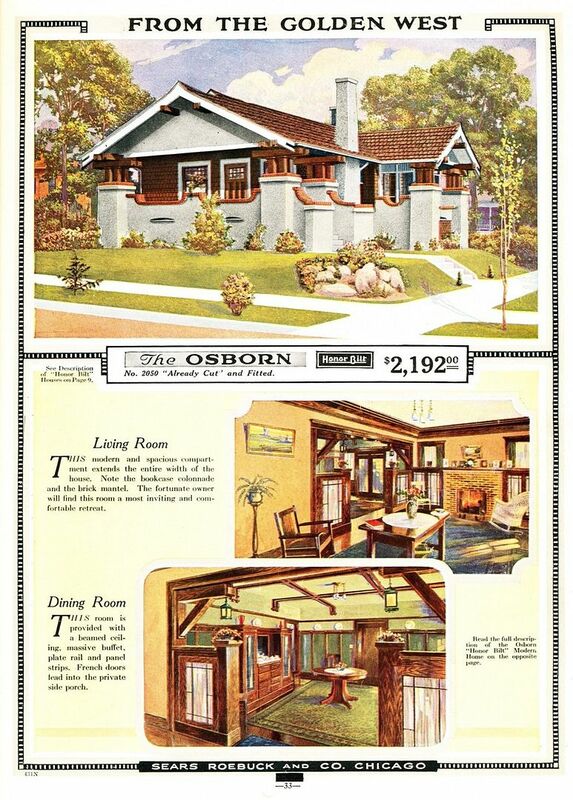 This particular catalog page does not show price, but generally the Dover sold for under $3000. 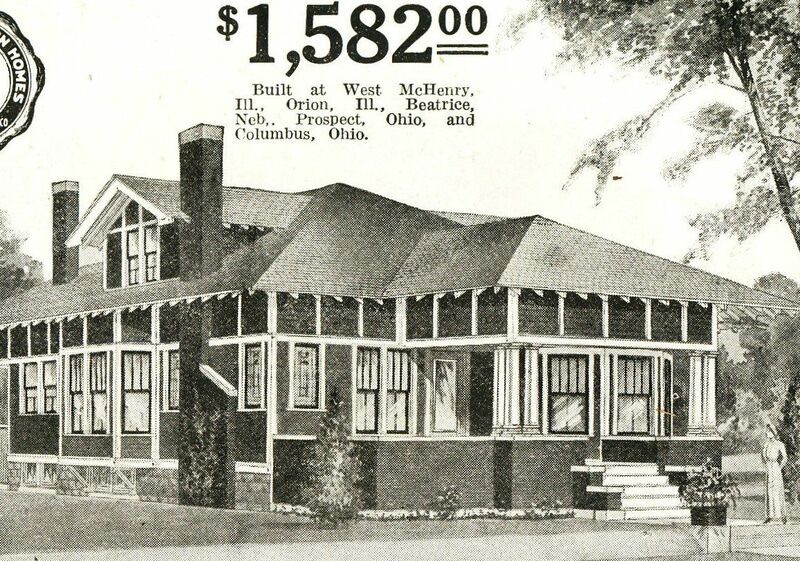 Pretty good deal. 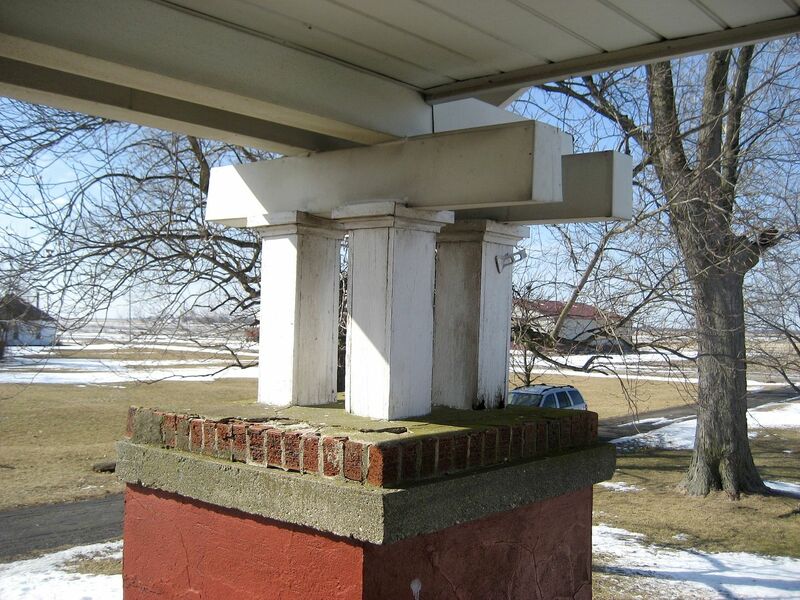 This photo (and the one below) was taken in late February 2010, when I visited my daughter and her family. 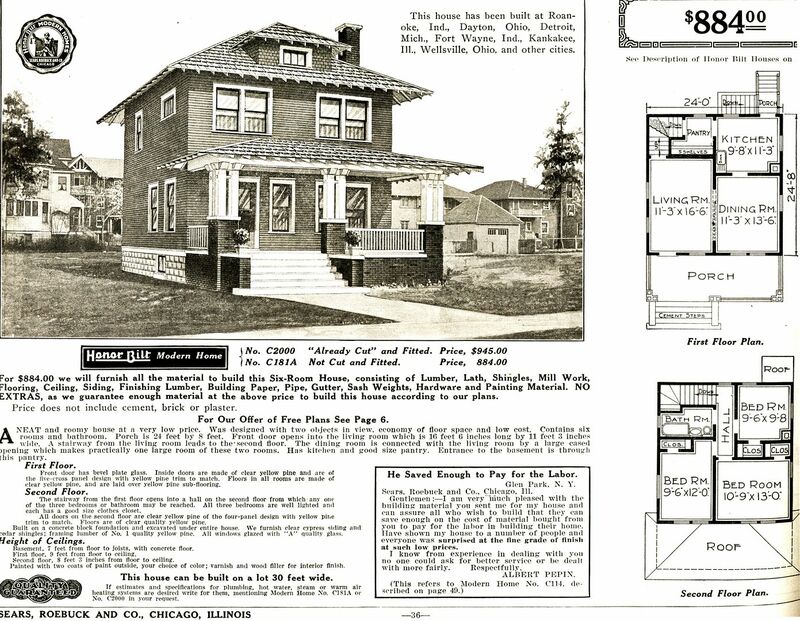 To learn more about Sears Homes, click here or click here. 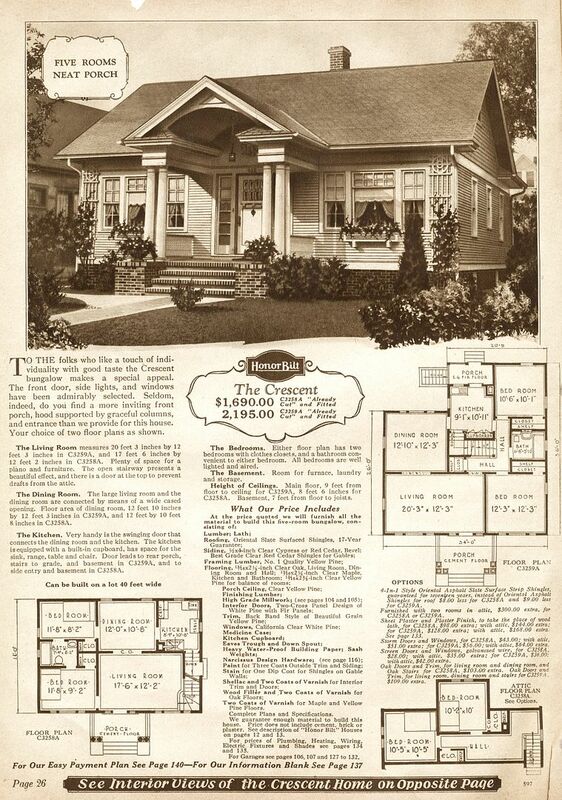 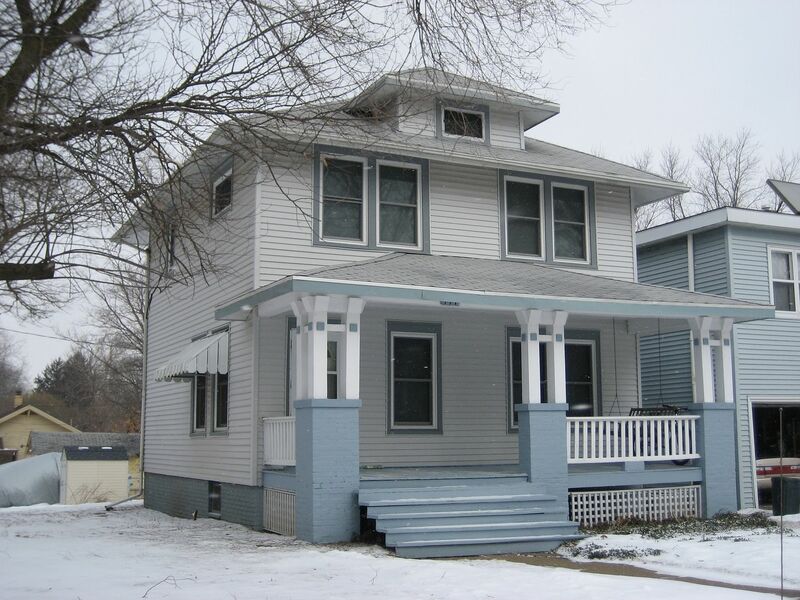 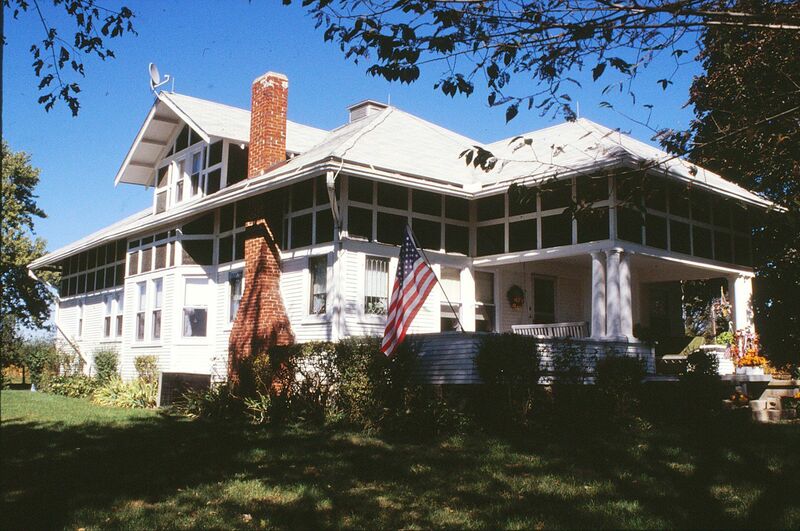 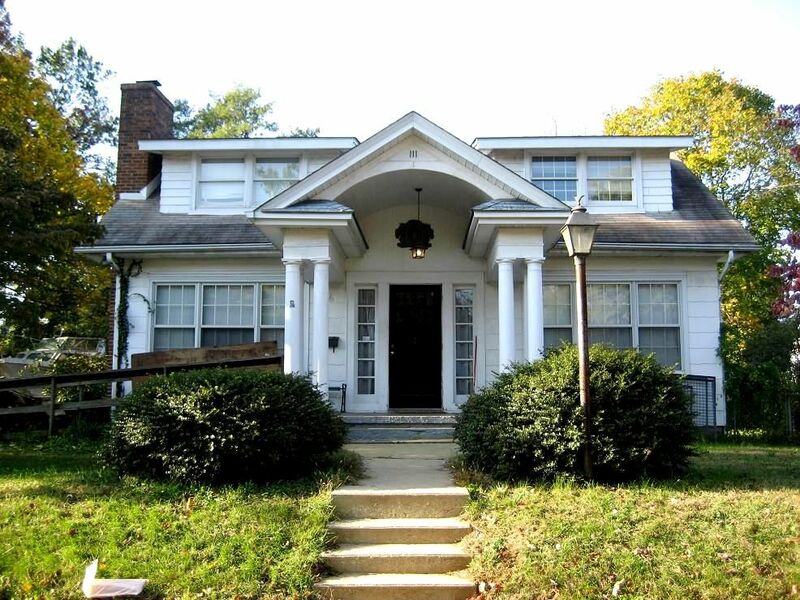 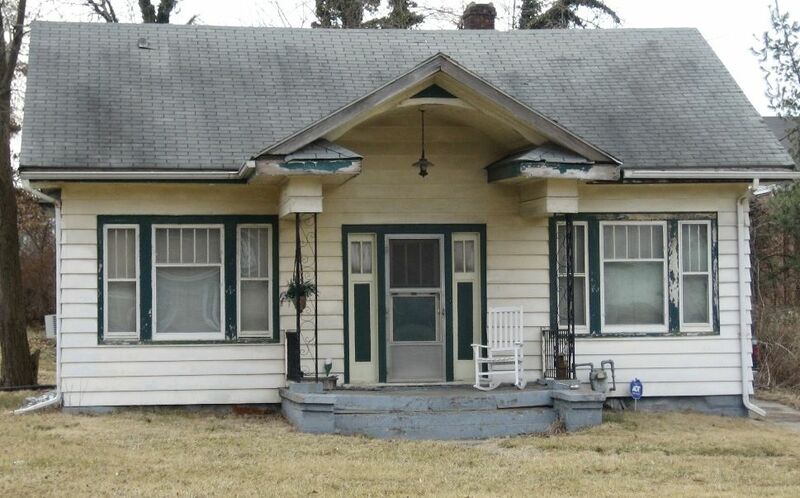 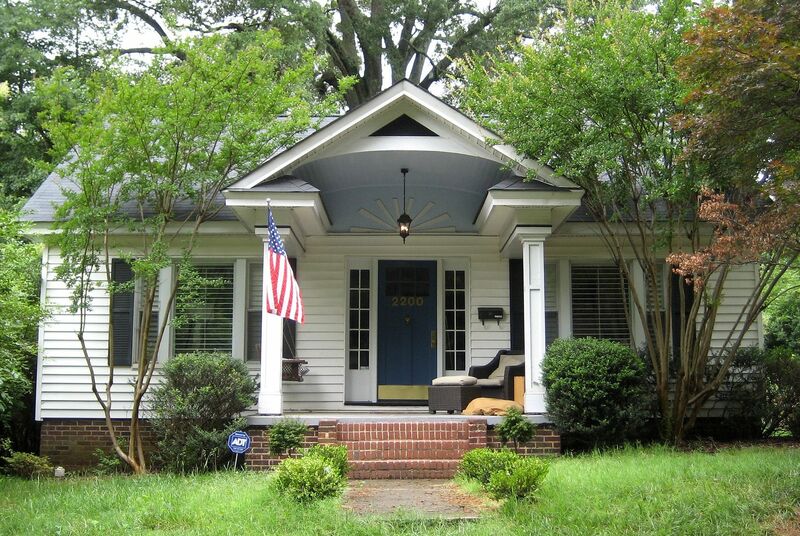 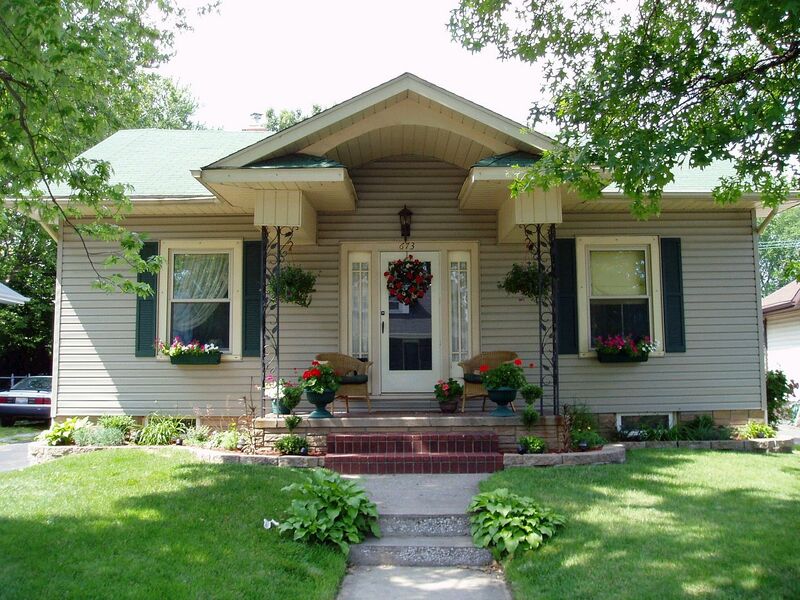 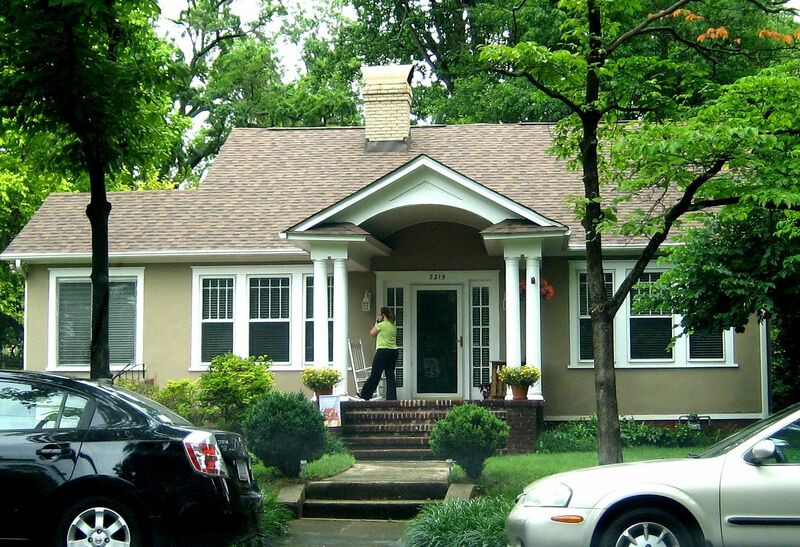 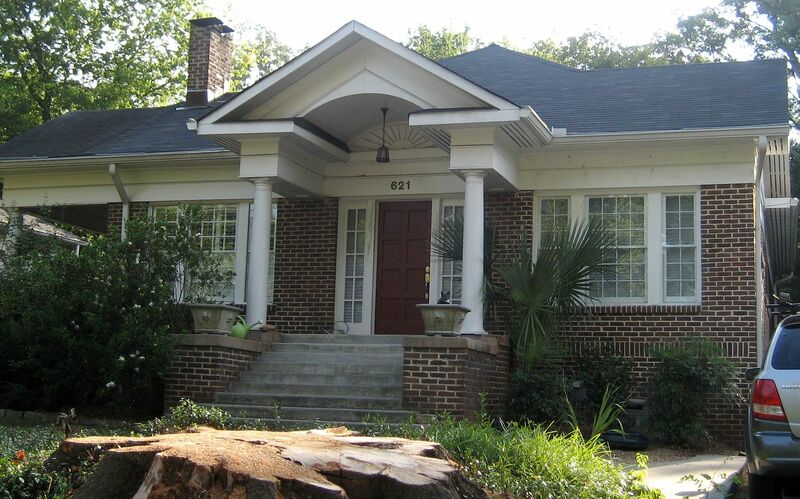 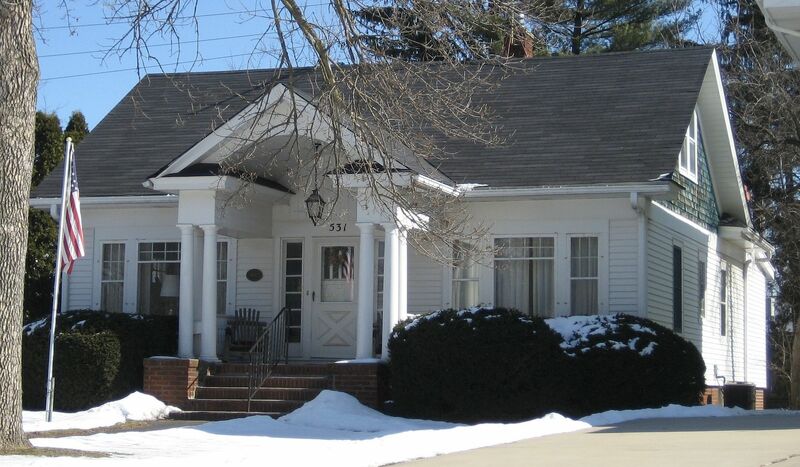 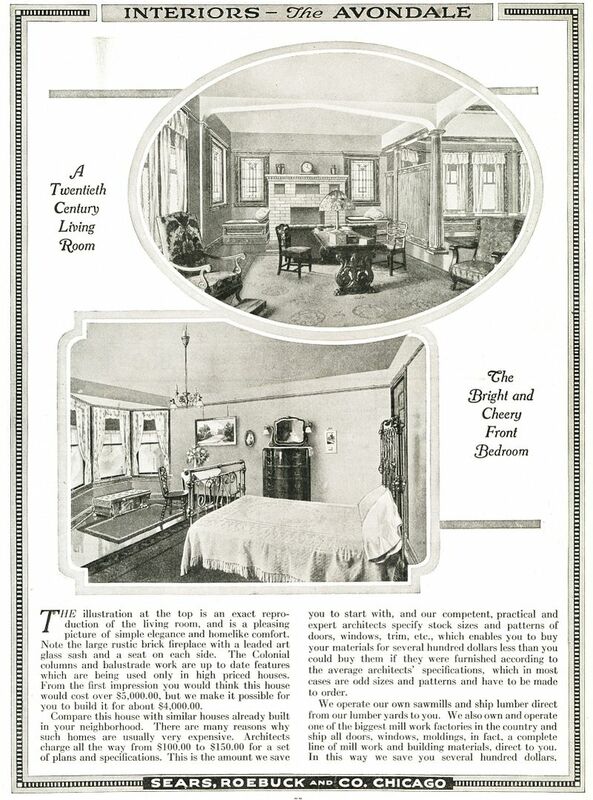 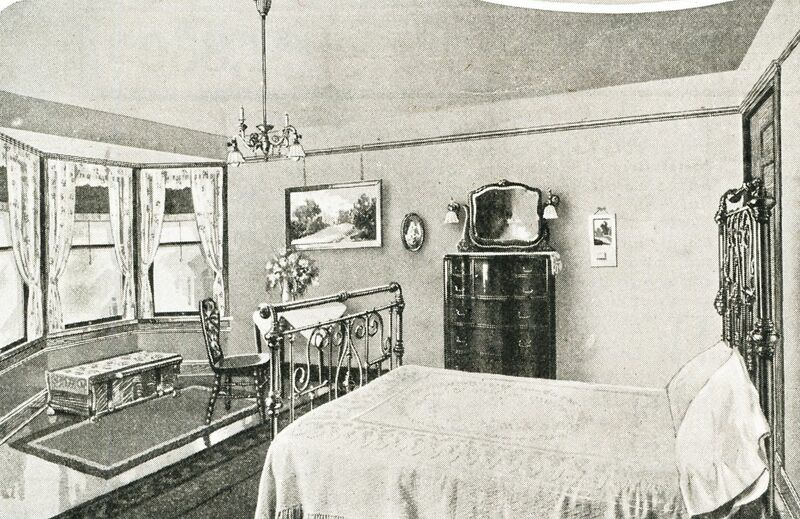 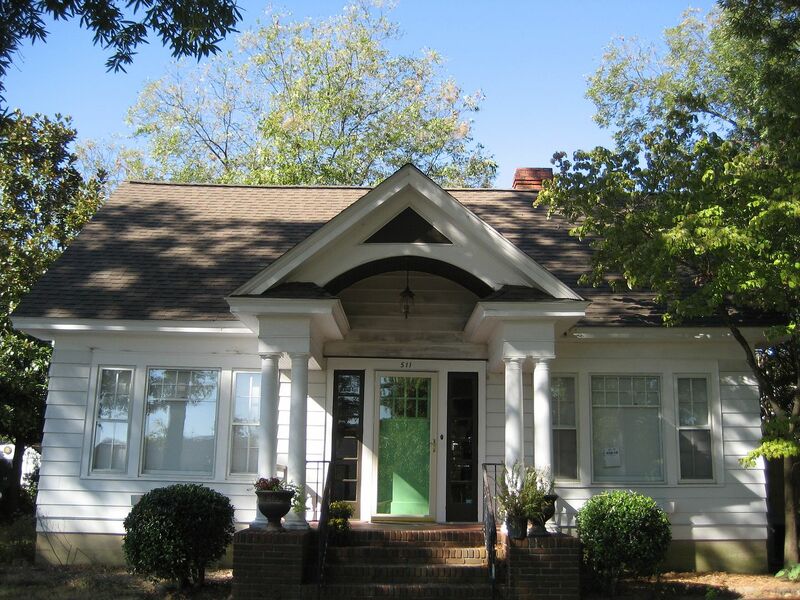 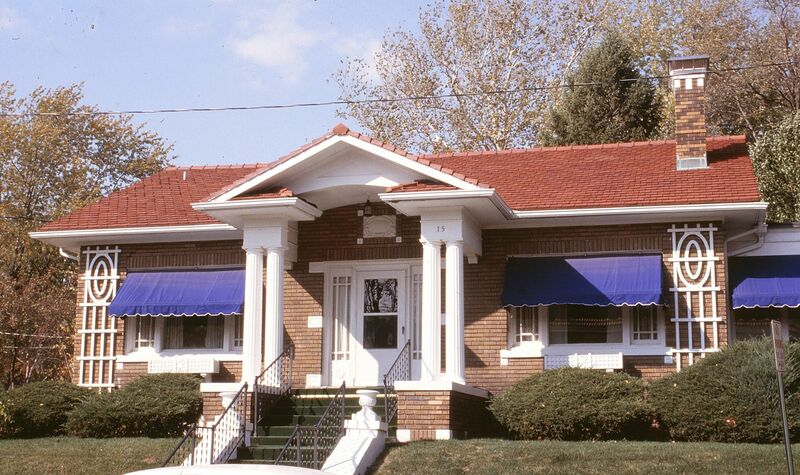 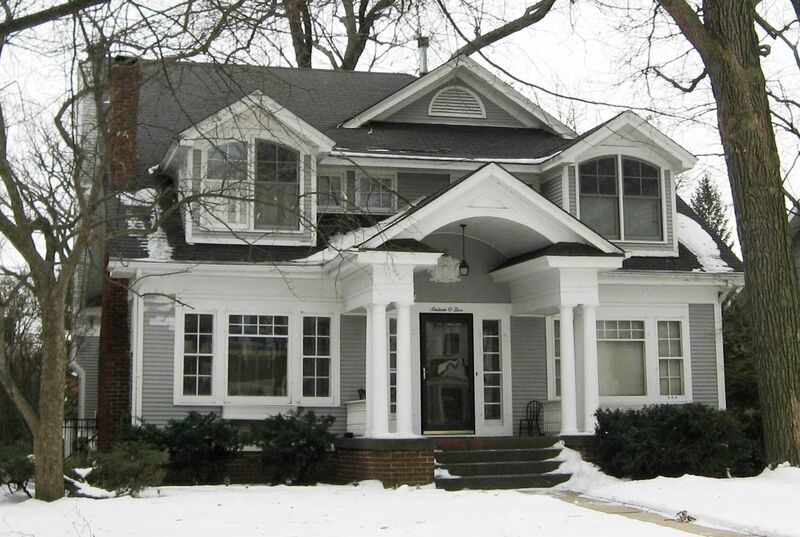 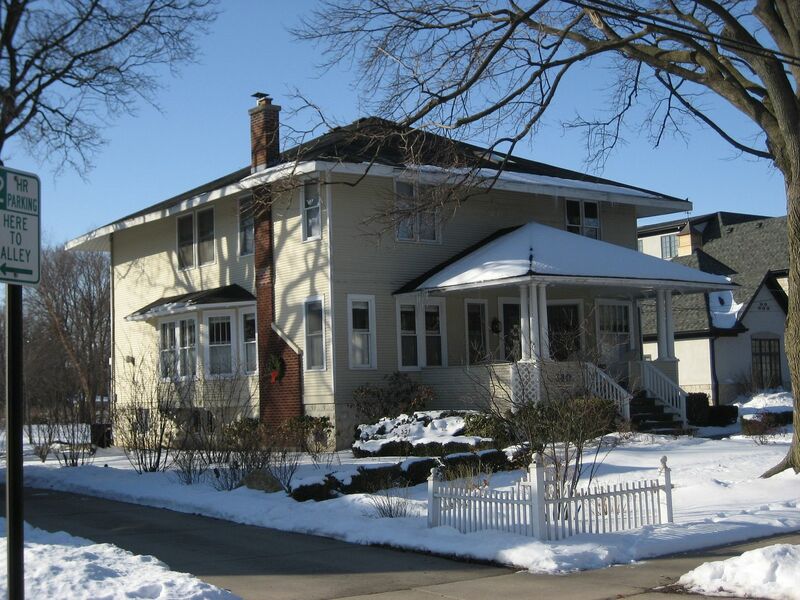 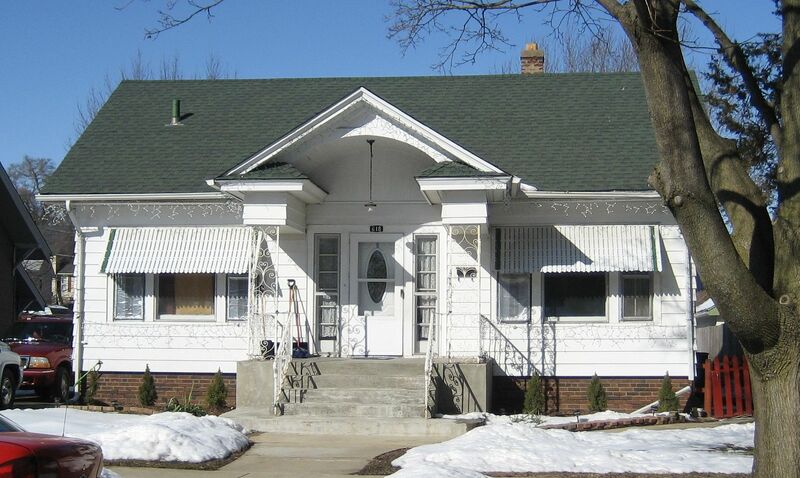 Pictured below is another beautiful Sears Home, The Americus. 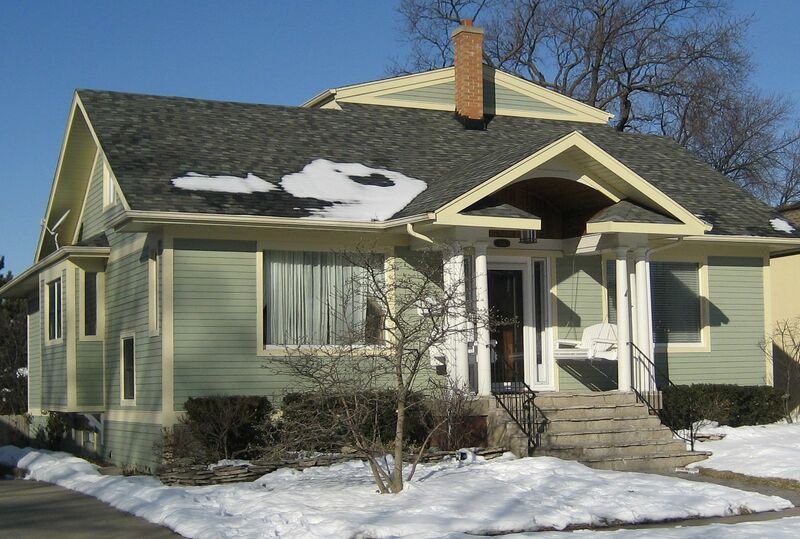 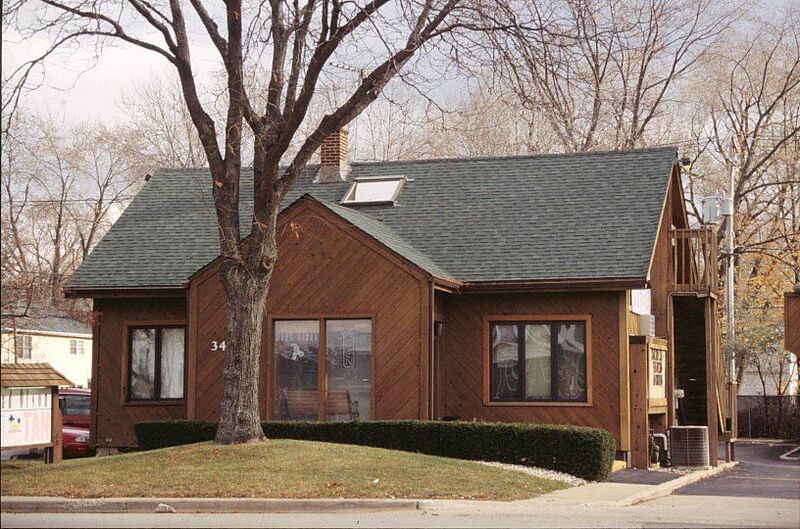 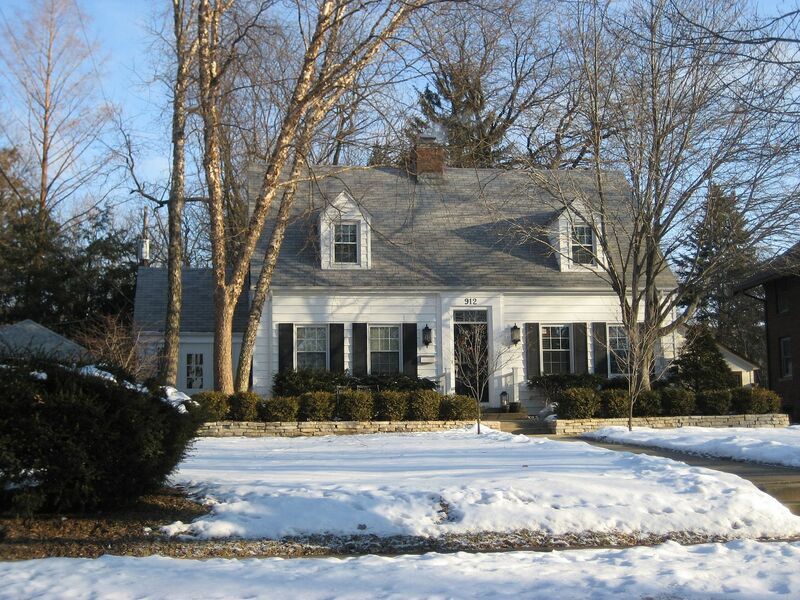 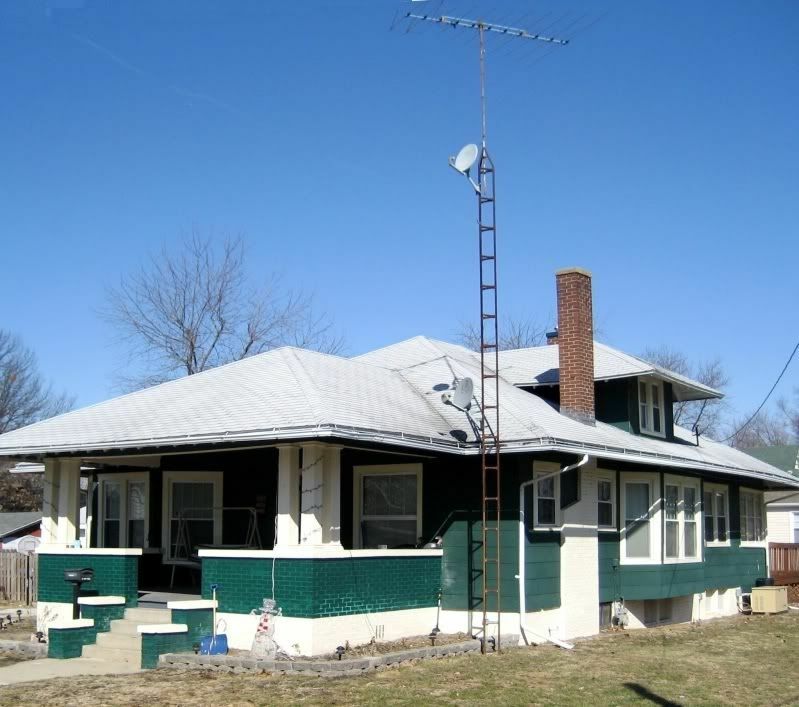 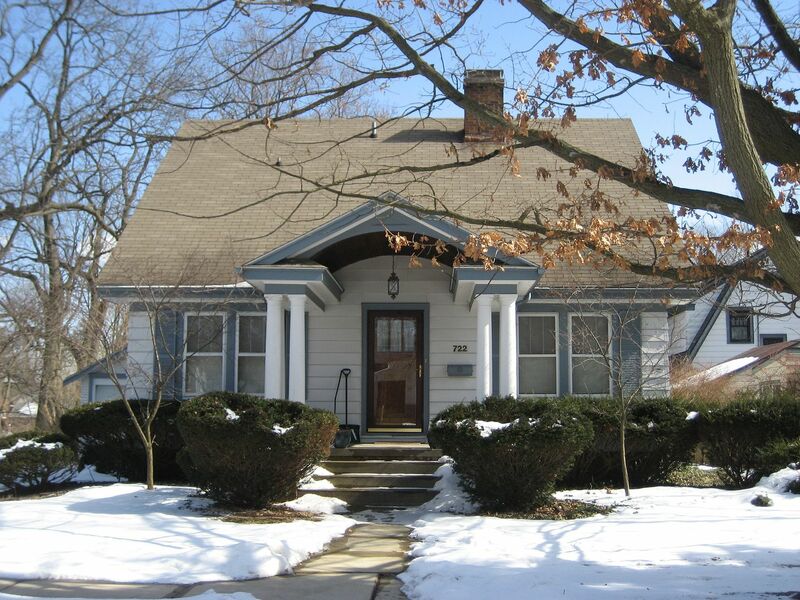 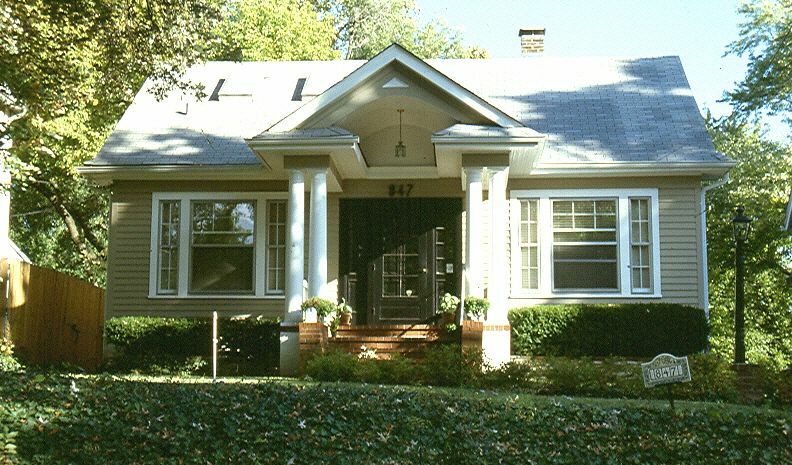 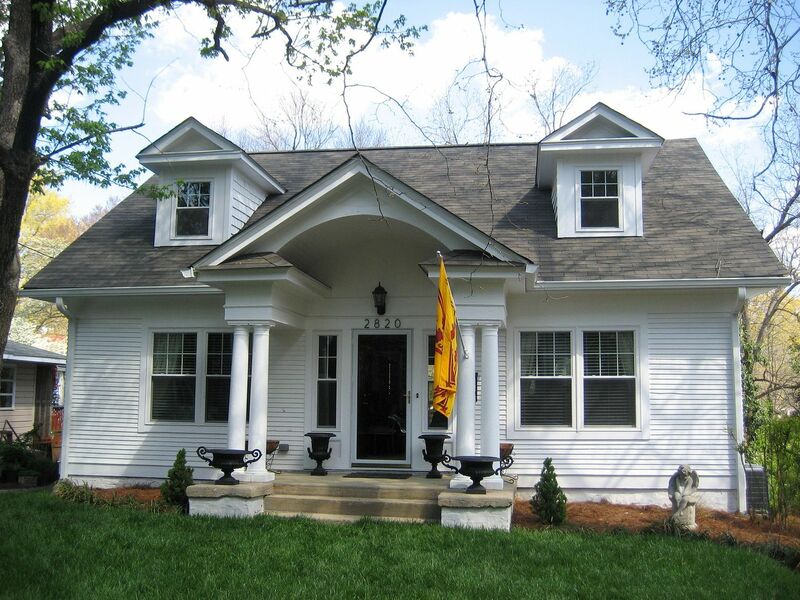 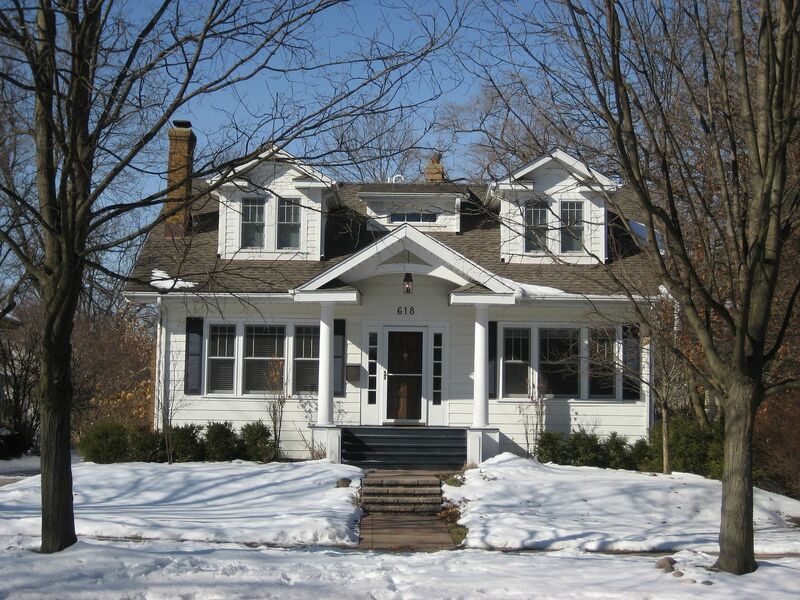 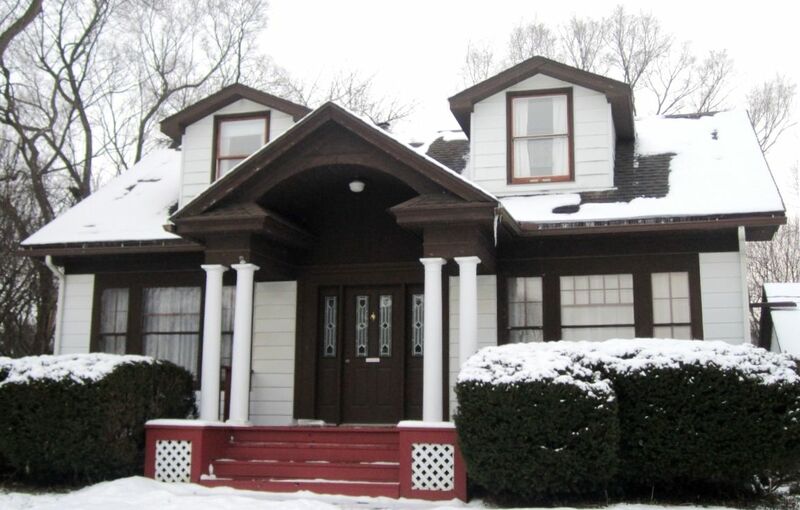 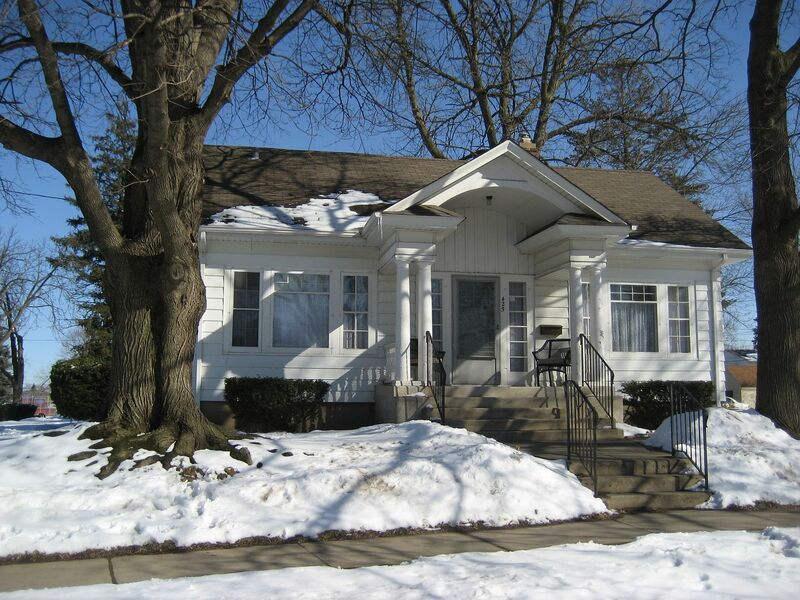 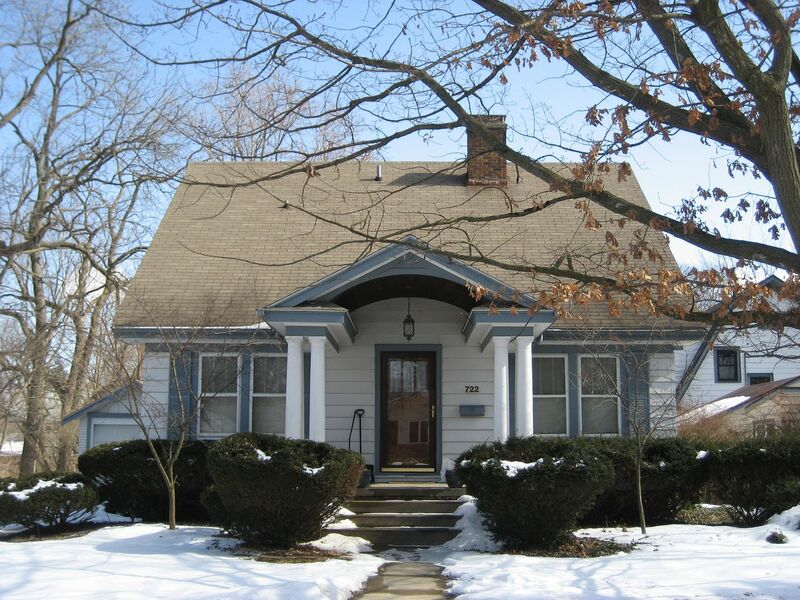 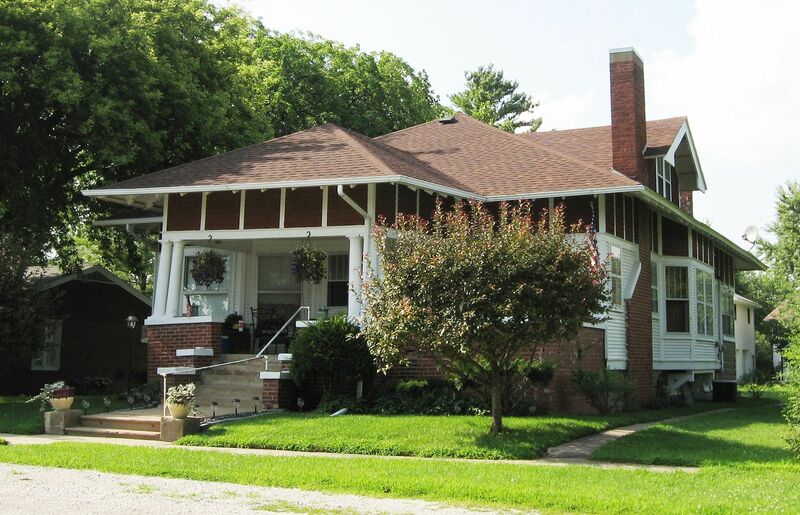 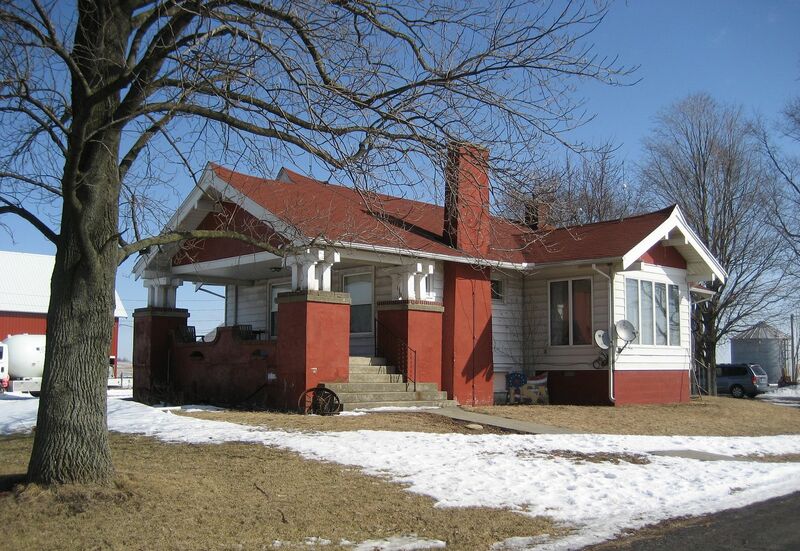 This house is in Urbana, Illinois. 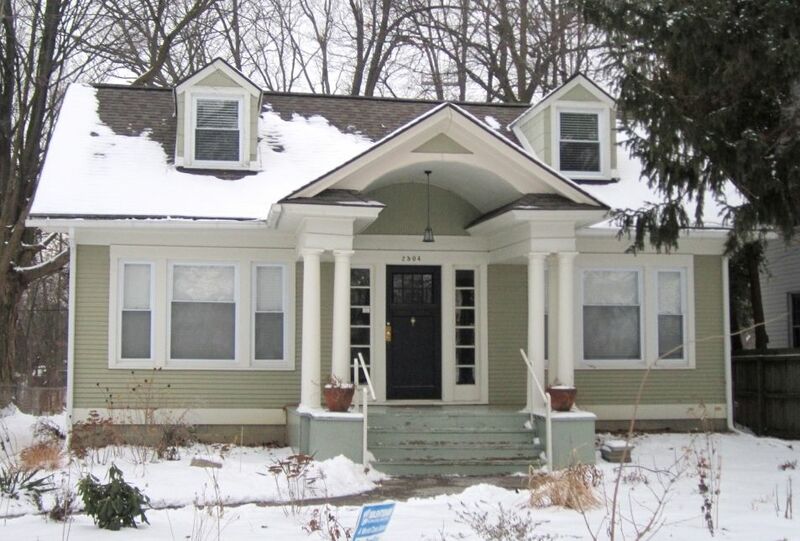 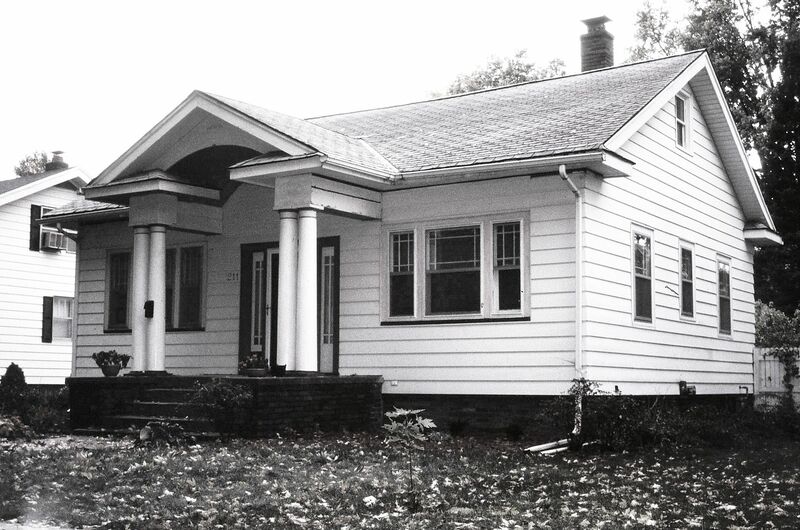 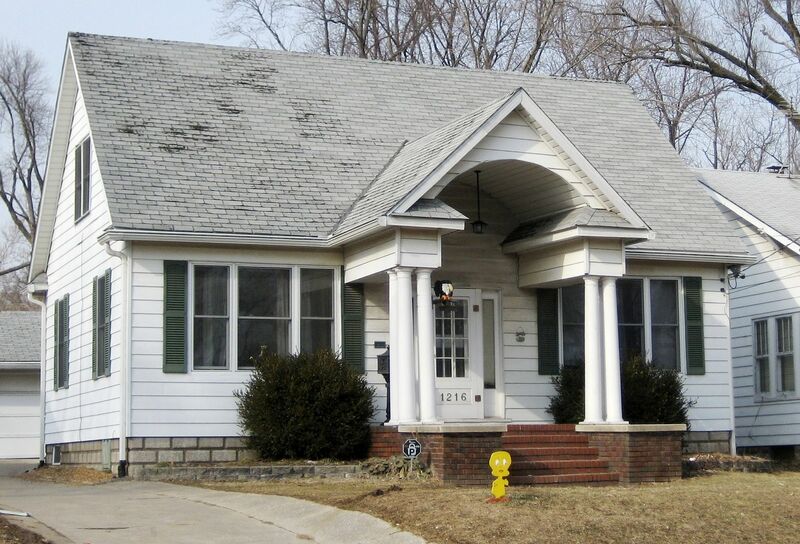 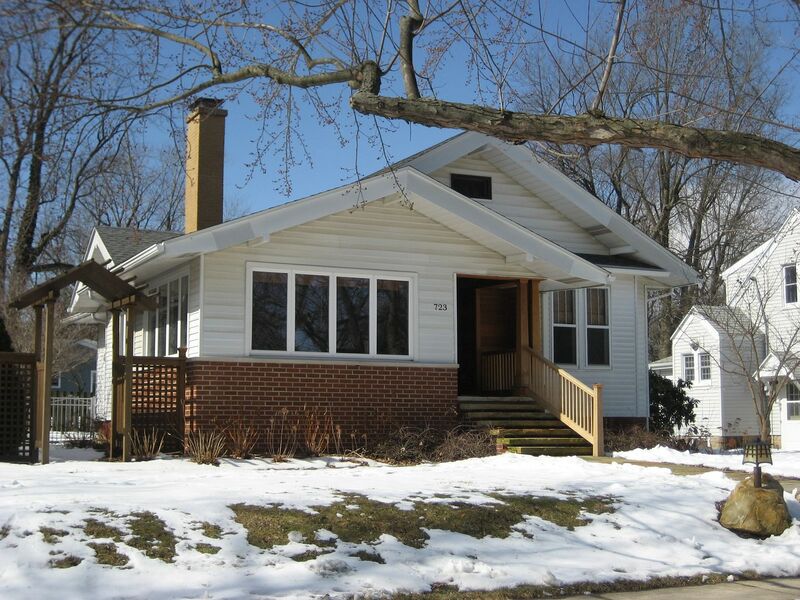 So I guess we’d call it, a fine little Sears House on an Urbana budget? 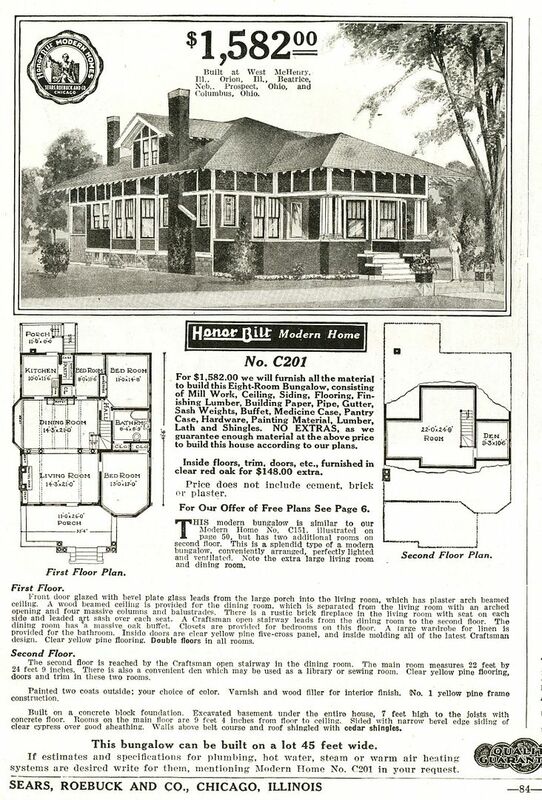 The Sears Americus in Urbana.